Just outside the centre of Estepona, adjacent to a very respected 18-hole golf course, which benefits from a club house and restaurant. 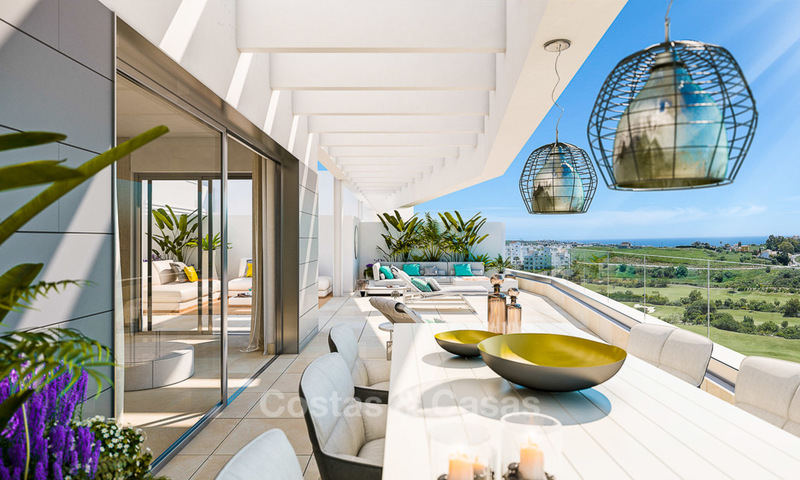 The Estepona area boasts a wide array of amenities, leisure and culture facilities, hospitals and schools. 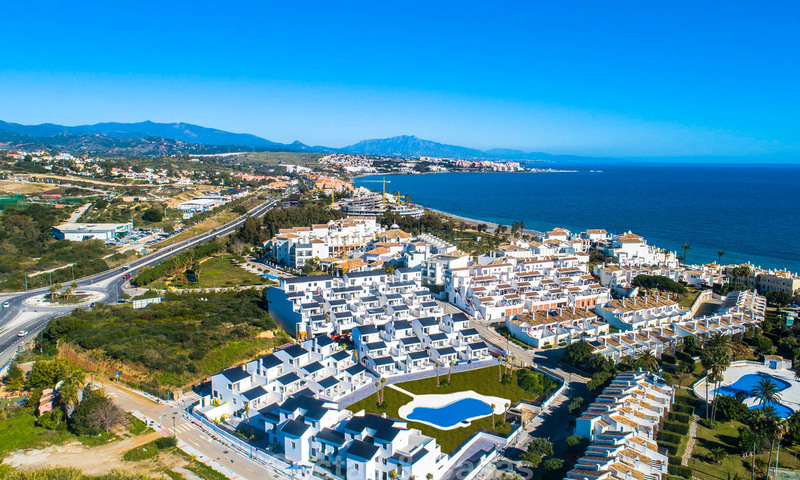 The centre of Estepona itself, just a 12-minute drive away, enjoys a leisure port and a nice long sea promenade with a clean golden sand beach. 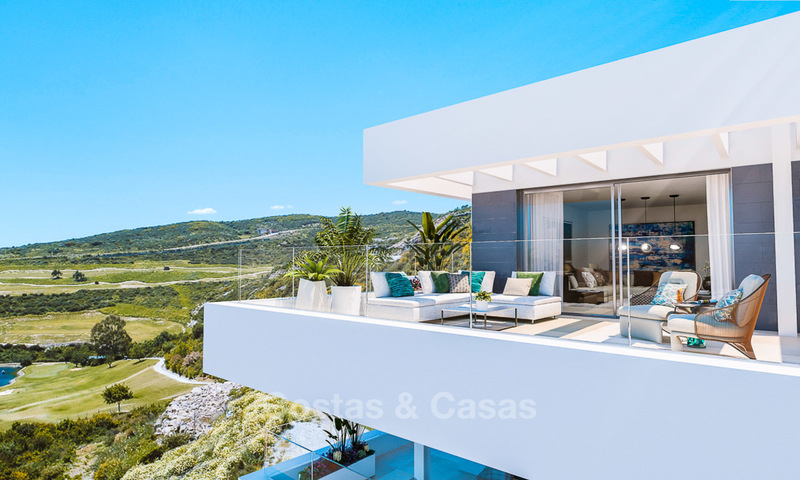 The marinas of La Duquesa (14 minutes by car) and Sotogrande (25 minutes) offer further possibilities for dining and entertainment. The lively resorts Puerto Banus and Marbella are 25 and 30 minutes away by car. 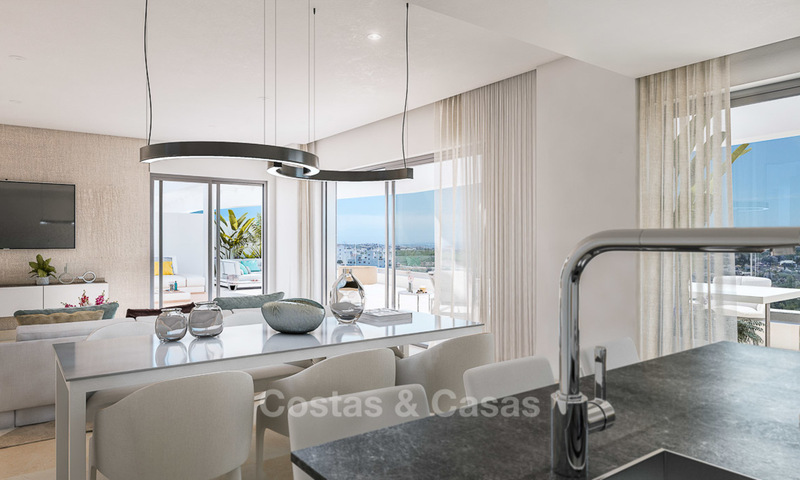 Brand new exclusive complex comprising 190 apartments spread out over 8 low-rise buildings and conceived in contemporary design with modern straight lines. 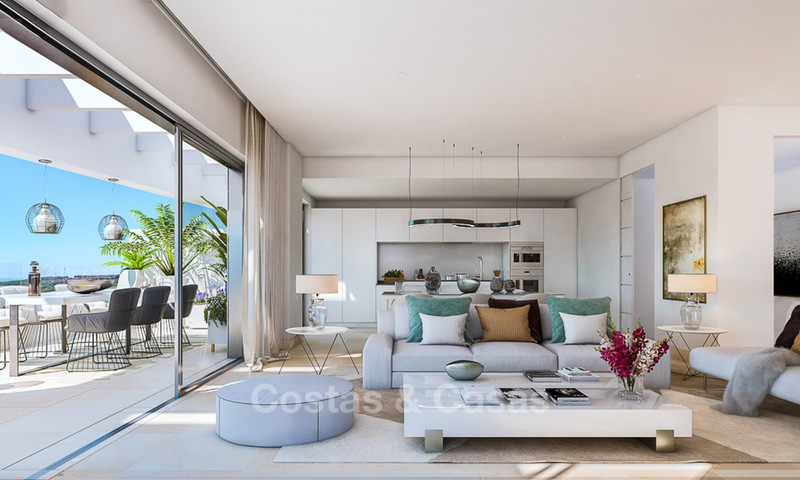 The buildings are south-facing and together with the open plan design, they create spacious, airy and bright apartments. All units benefit from large terraces, with large windows extending the home to the outdoors. Top floor and second floor apartment come with a solarium. 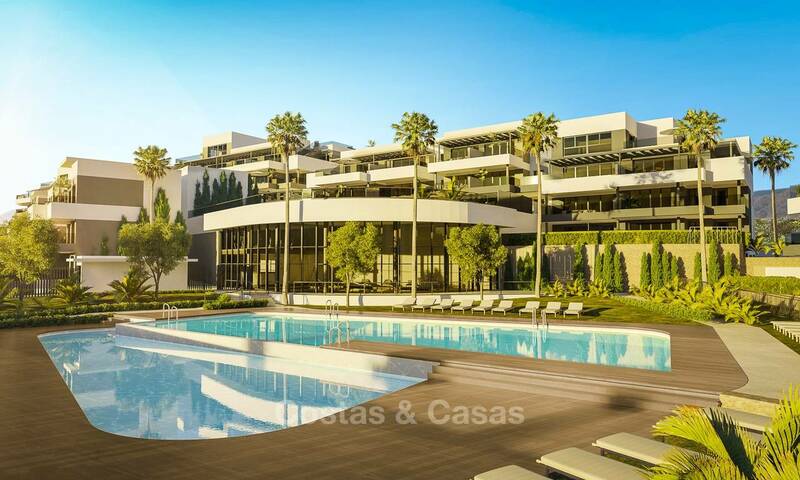 The complex is gated and enjoys 2 outdoor pools with sundeck, manicured gardens and a gym. Completion date of this attractive project is anticipated for late 2020.